FORT ROYAL protects and develops the know-how of its workshops of excellence dedicated to architecture and decoration. The group has acquired in 2017 the RENNOTTE RIOT workshop, bronze specialist since 1860, to widen its field of expertise and to enrich its offer. Complementing the know-how of its master cabinetmakers, FORT ROYAL is proud to offer you the expertise of its workshop in your creation or restoration projects (furniture, lighting, art items, surface) including the work of bronze (copper, brass, zinc, tin, nickel). Founded in 1860 by Johan Rennotte, Rennotte Riot has never ceased to develop its know-how and expand its field of expertise. Originally located in the Faubourg Saint Antoine, in the heart of the historic district dedicated to furniture in Paris, the store exhibited its unique collection of bronze (5000 models) and drawing (300 models), while having workshops in the provinces. 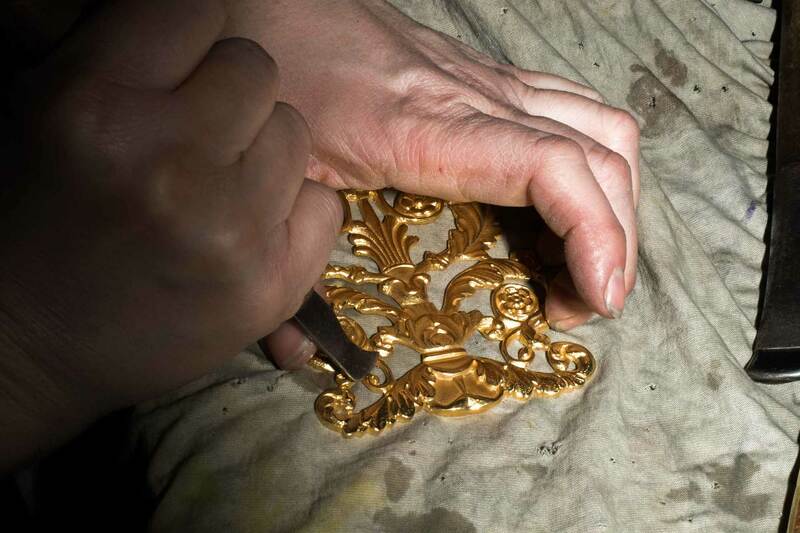 After the acquisition in 2006 and 2007 of the companies Julien and Riot, metal gilders, Rennotte, now Rennotte Riot, concentrates in Charenton the bulk of its production (gilding, silvering, drawing, restoration). 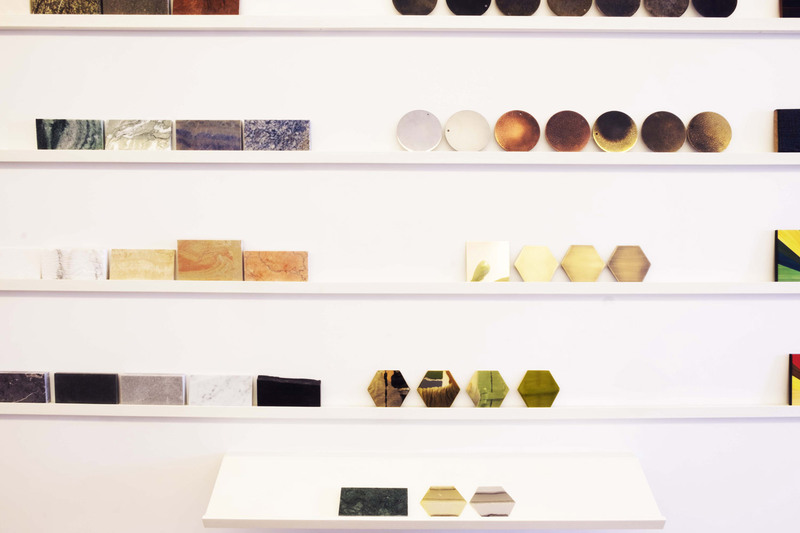 In 2010, the Parisian store and its collection join the 900 square meters of the Charenton workshop that now houses all its activities. Now a member of FORT ROYAL, the expertise of Rennotte Riot’s craftsmen resonates with the group’s other workshops in order to associate bronze with other materials in unique creations. 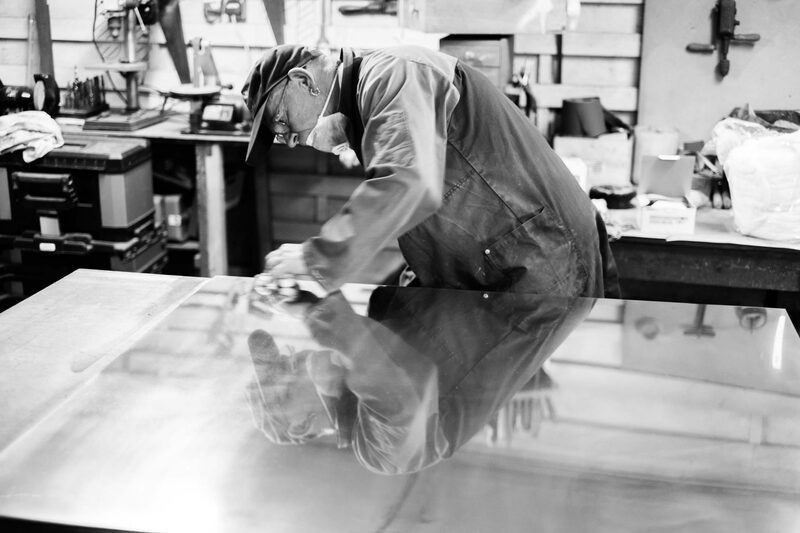 Expert in bronze work, Rennotte Riot offers a variety of know-how in several fields: surface treatment for a wide choice of finishing and materials, creation and restoration of furniture, lighting, decorative and art items. We also offer an extensive catalog of bronzes of ornaments and drawing from our exceptional collection. Our workshop works in the respect of the purest artisan tradition using vintage machines (cold drawing machine dating from the 19th century) but also develops modern techniques to propose bronze in contemporary applications.